JAKARTA, Indonesia - Sonia Fergina Citra (25) was crowned Puteri Indonesia 2018 at the Jakarta Convention Center on March 9. She will represent Indonesia in Miss Universe 2018. Vania Fitryani Herlambang and Wilda Octaviana Situngkir finished in second and third place, respectively. 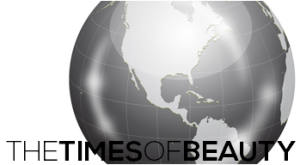 The Times of Beauty offers annual coverage of the two best beauty pageants in the planet: Miss World and Miss Universe. The website and its owner are not related in any form or manner whatsoever with these international pageants. "Miss World" and "Mister World" are property of Miss World Limited based in London, United Kingdom. "Miss Universe" is property of Miss Universe L.P., LLLP based in New York, New York, United States. The Times of Beauty does not claim credit or ownership for any images featured unless otherwise noted. We aim to give credit when we can. All visual content is copyright to its respectful owners.